Can anyone suggest a suitable rack? Price isnt a problem this time also! Your kit set up is similar to mine. I use the Gibraltar rack ( I have 2X V-Rack and 1X curved rack starter rack kits total of three racks). Sometimes my set up will call for multiple use of all three racks. But sometimes I just use 2 racks made into one. I use a Gibraltar rack...haven't had any problems with it and got it used for less than $200, it's a great rack and not as expensive as some other racks. Love that Pearl reso head, btw. Ahh see I wasnt aware of that, at the moment I have the pearl hardware that came with the kit. But I know Gibraltar at least have good rack systems. Thank you thats very useful! 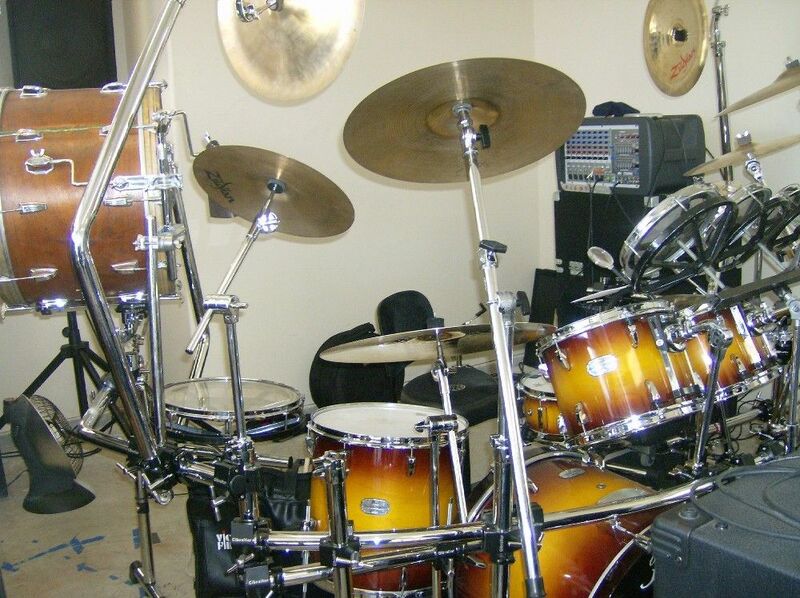 [QUOTE=late8;348412]Your kit set up is similar to mine. I use the Gibraltar rack ( I have 2X V-Rack and 1X curved rack starter rack kits total of three racks). Sometimes my set up will call for multiple use of all three racks. But sometimes I just use 2 racks made into one. So far I'm leaning towards gibraltar, most definately. Though It'd mean buying new tom arms for the toms? That im not sure of... I need to know compatibility. I'll keep researching, thank you late8! Forever jealous of your RUDE Ride! Ok so now im definitely looking into gibraltar! Plus I've had a rethink on the spending money and being more realistic now, I cant be blowing loads on a rack really, so even better! What would be cheaper buying a Gilbrator for 200-250 and then all new tom arms etc or get the Pearl DR 503 for about 340.00. I would go for the Pearl if you are planning on staying with that brand. Pearls drum rack is simpler since it does not use round tubing , so it needs less hard wares to lock the positions & keep it from slipping. The squared rack rails are easier to set up & tear down since some sections are joined w/ folding hinges. I think this is the standard double kick Gibraltar rack that's been mentioned. Goes for just about 400 bucks over at GC. It's lightweight, slip proof, and has clamps that allow all kinds of angles. Also it's easily adjustable and expandable both horizontally and vertically, if you are into drum cages or something crazy. I got mine for around 250 on ebay, full 3 sided with 11 clamps. The only hardware that is proprietary to a Pearl rack is the rack (pipe) clamps and that's because Pearl's rack is a sqaure tube where DW, PDP, Gibralter, Tama use a round tube. 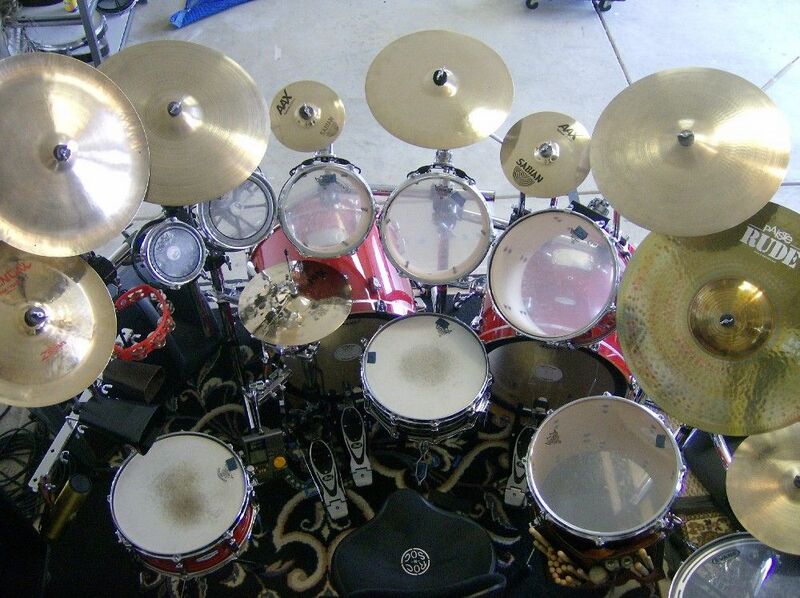 Your current tom and cymbal arms will work on any rack. Most racks come with 4 tube clamps. 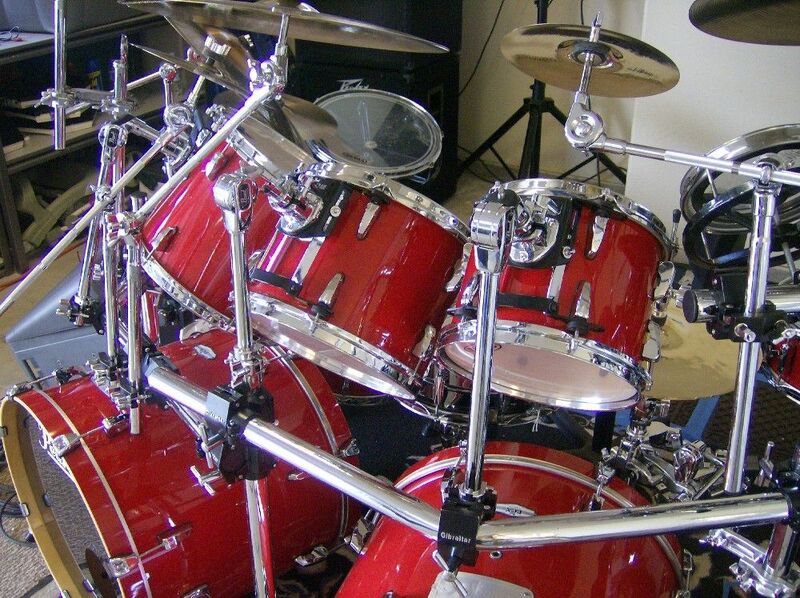 Looking at your set up, you could pick up a rack and would only need to buy 3 extra rack clamps and use your current cymbal stand tops and tom arms to get those toms and cymbals on there for an initial beginning. As time goes on and you add cymbals, drums or other knick-knacks, you can add without having to worry about where the legs of stands end up. This is the slickest, cleanest setup I've seen. Not to mention the drop dead looks of those Tamas! I remember my thread on racks and remember your pic. 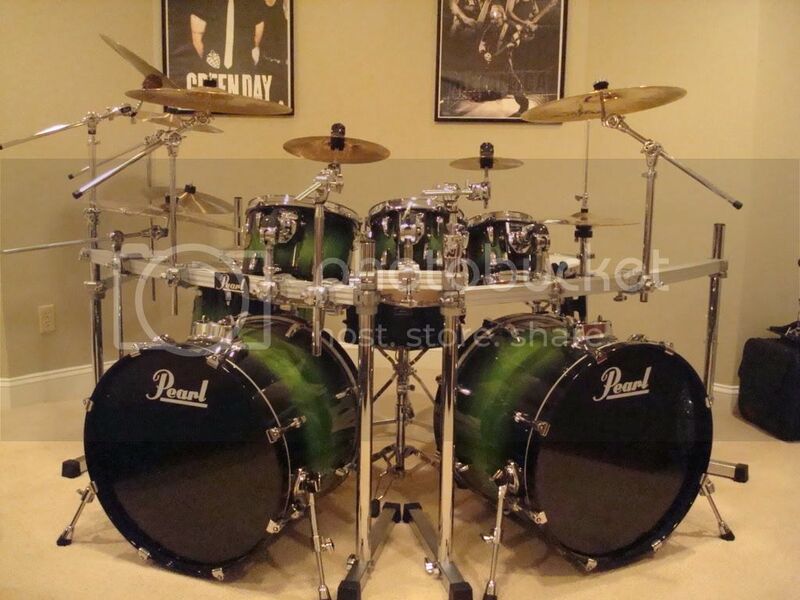 If I had a double bass setup, this is the direction I'd have went. Here's a pic of my PDP rack. Got it discounted at GC for around $200. It was new, just missing the label and little level bubble. You do the same thing with the PDP as the Gibralter rack Possibly? You'd have to get tom holders. There about $25 each. I bought Tama tom holders. They are pretty good. OK, so thats a lot for a rack, could anyone tell me is it really worth this considering I can keep all my hardware, with only buying a few extras? 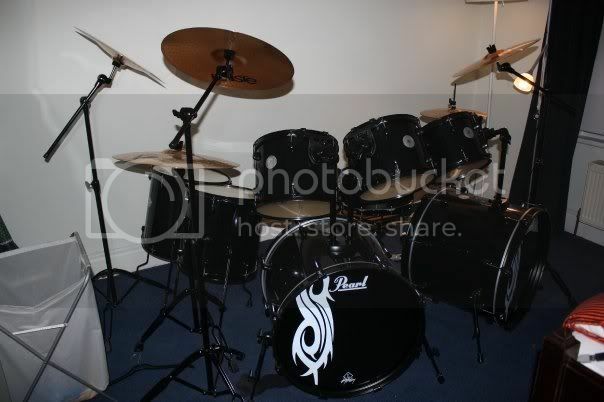 Mind you your pricing that pearl rack just for the two bars in front, the right side of the kit could still need one possibly. 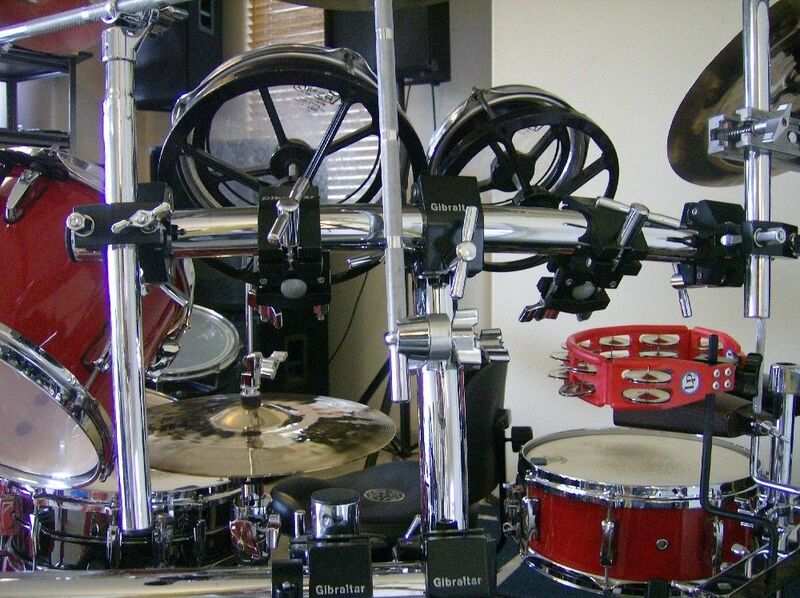 Plus you would need 3 clamps for the rack toms, and possibly mounts as well if you are not going to use the ones already on your set. Out of all the companies, gibraltar makes the best racks for double bass use. Yes you can go the pearl route, but for double bass set-ups gibraltar will be easier and cheaper in the long run. Side note: Try to buy the rack used. You could easily save 200 dollars or so, and use that money to buy additional clamps and hardware that you may need. I've seen used Icons for 100, so deals are out there if you look around. Go for the Pearl DR 503C rack like I mentioned in my earlier post 340. The square tube are more sturdier than the rounds and there is no chances of the toms and hardware falling over from hitting like the round tubes. You decide from what you have read and good luck..
That's not really all that much for a rack starting out. 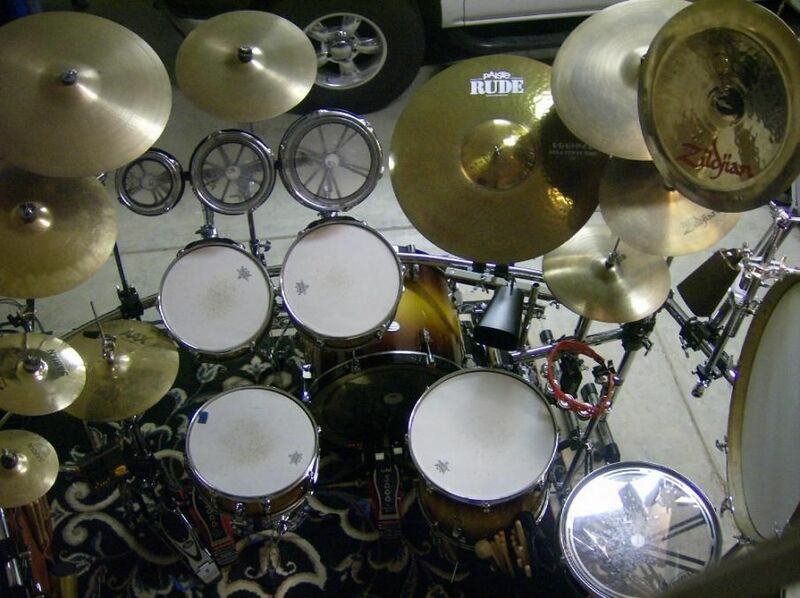 You will still need to use some of your cymbal stands on the right side of you kit to get your 2nd crash, ride and china on that side set up where they are now if you plan to go with the two 501's. I don't think the cymbal arms would be long enough to duplicate what you have now with the stands. On 2nd thought, that crash might be ok on the bar over the right bass drum. I'd suggest go with a DR-503 (Curved or Straight) to start out. You'd get more full length bars to work with as opposed to that tiny RJ-50. 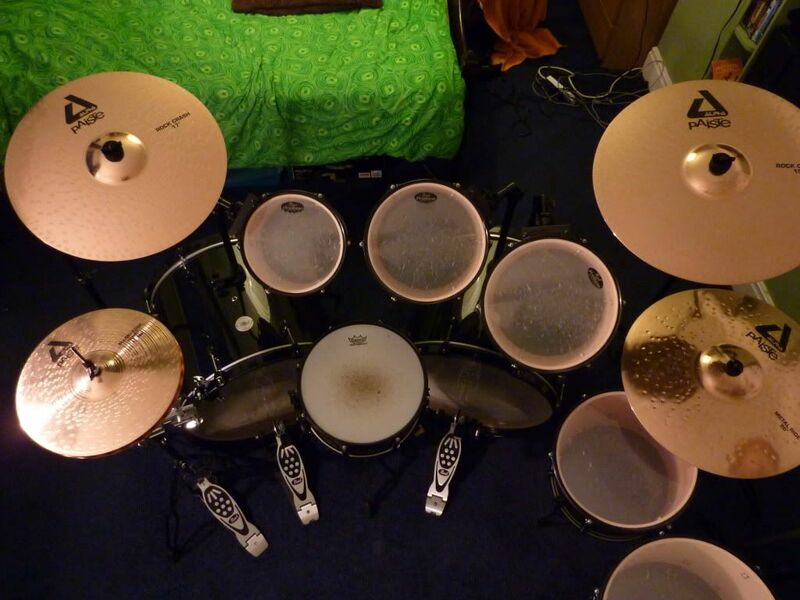 Add some PCL-100s on each leg and you'll get lots of options for cymbals. Only look at the bottom half of this rack to see an example of how the RJ-50 is not really necessary. I really like the flexibility of the Gibraltar racks. Critics claim slippage issues but if you use the memory locks that come with the Gibraltar rack, slippage is a non-issue. Nothing wrong with that. Thing is, I got this PDP rack and it included I think it was four extra clamps for accessories, and memory locks for almost all the clamps used. As has been mentioned before, there are some stories of slippage from round tube racks and could see this happening if not used correctly. But I have had this rack for some time now and have had zero slippage of clamps, even ones used without memory locks. I've had quite a bit of wieght on her too. This PDP rack also came with two wings. Nothing wrong with square tube racks, but most I've seen have been more expensive. All depends on what your comfortable with. I've owned my Gibraltar rack for over 12 years now , and not one single "Slippage" has happened on mine, and yes I use my memory locks. 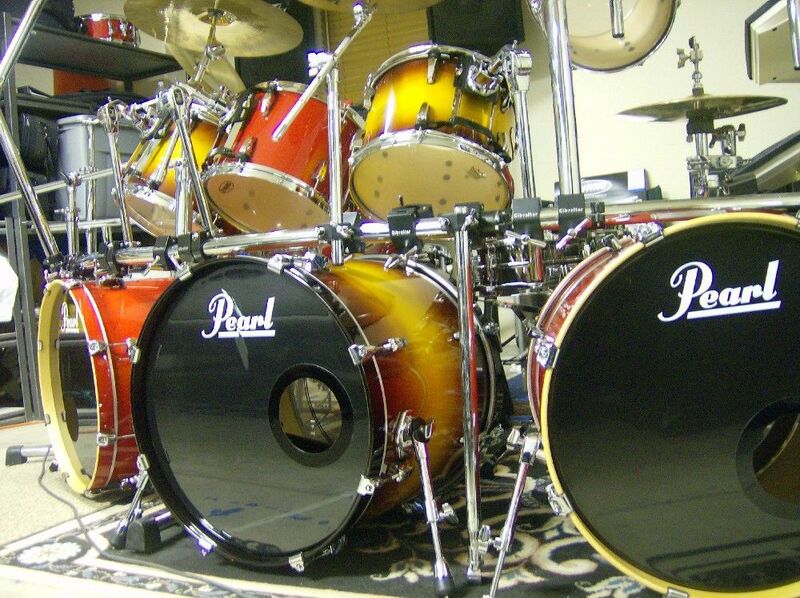 I would still go for the Pearl DR 503C if you can afford to. I still would not trust the round tubes. I have experience the difference over the years not on drum racks but on Snowplow, farm implements etc and the square tube are the strongest and best IMO. In my opinion, flat surfaces have more area to displace weight than rounded surfaces but I've found the major advantage of rounded rack tubes is the infinite adjustment positions available by utilizing the 360 degree aspect of a circle verses just 4 flat planes of a square. Positioning my rack toms was made easier since I had the capability to angle the tom mounts on the horizontal bars at any +/- degree from top dead center to have them positioned the way I wanted them. I couldn't do this with a four sided square rack bar. 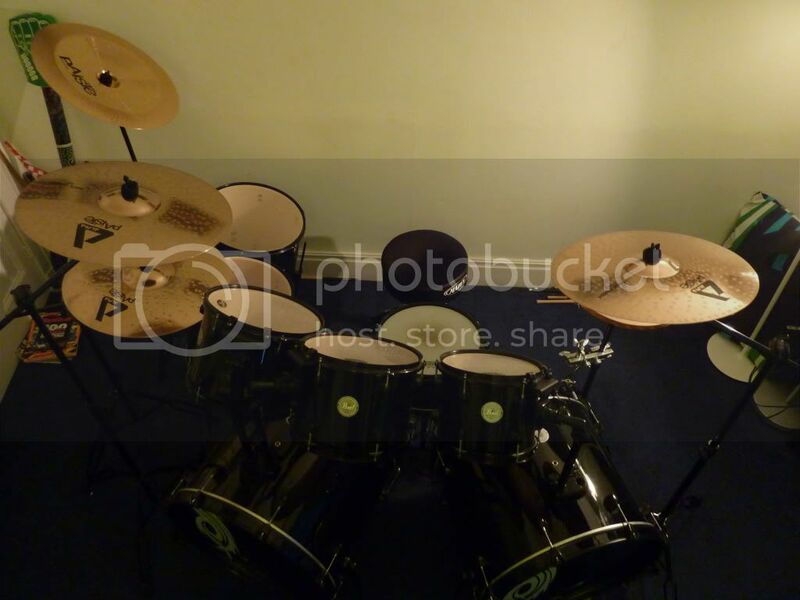 Note how each tom arms is angled differently to suit my needs. With a rounded rack tube, I can mount my roto toms on a horizontal bar and rotate the angle of the roto toms for a better ergonomic position. You can splice two curved sections of round tubing together to create one long section and keep the angle of the curved bar in the right direction. Last edited by late8; 01-12-2011 at 01:55 PM.